“He has important attributes. We will do something in that role but we are keeping everything in reserve. Fellaini made 16 appearances – 11 from the bench – as United finished second in the Premier League this season. Altogether, Fellaini featured in 23 games – starting seven – across all competitions. Email “'Fellaini won't renew at Man Utd' - AC Milan director points towards transfer”. 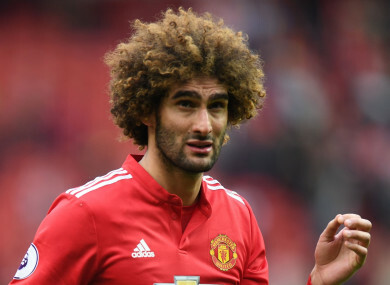 Feedback on “'Fellaini won't renew at Man Utd' - AC Milan director points towards transfer”.